Super Smash Bros Ultimate is the first in the series since Super Smash Bros for Wii U, and a hell of a lot has changed since then. Firstly, every single character from Smash history will feature in Super Smash Bros Ultimate. There are also over 1000 audio tracks, and over 100 stages as well. To help you get settled in, we’ve been busy putting together character guides for every single fighter in the game. In this Super Smash Bros Ultimate King Dedede Guide, we’ll be looking at King Dedede. Specifically we’ll be looking at the changes that have been made since his last appearance. We’ll also detail his Final Smash, and the alternate Costumes that are available. Coming from the Kirby series, you can find a list of all of King Dedede’s moves in Super Smash Bros. Ultimate just below. Dede-rush is the name of his Final Smash move, where the king unleashes missiles. Nintendo has made a number of small changes to King Dedede for Super Smash Ultimate. He’s got a new Final Smash, several new animations, and a couple of new moves thrown in for good measure. Let’s see what’s new. 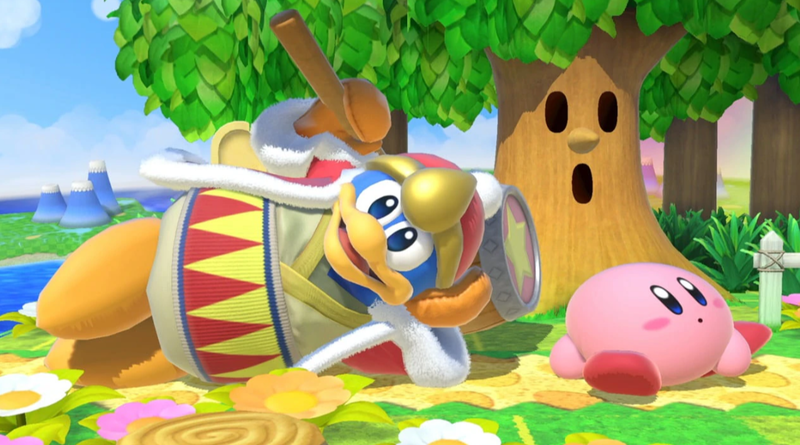 Several of King Dedede’s animations have been tweaked including Forward Smash, Dash, jumpsquat, victory, taunt and crouch. New Final Smash, more on that later. Dedede can now eat projectiles and fire them back out. Forward Smash does more damage. Jet Hammer can break shields now. 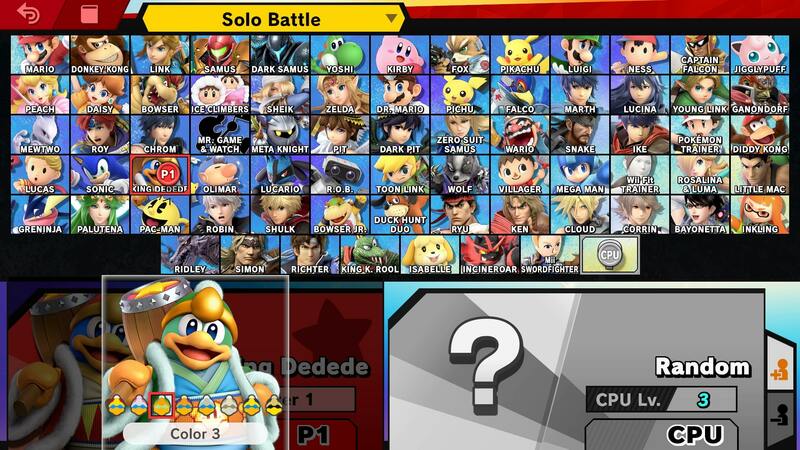 King Dedede has a number of Alternate Costumes that players can choose from. These change the design on his robes with stars, fists, Kirby, Checker Flag and neon blue all being options. There’s also a grayscale version. We’ll be adding screens once embargo lifts on the game. 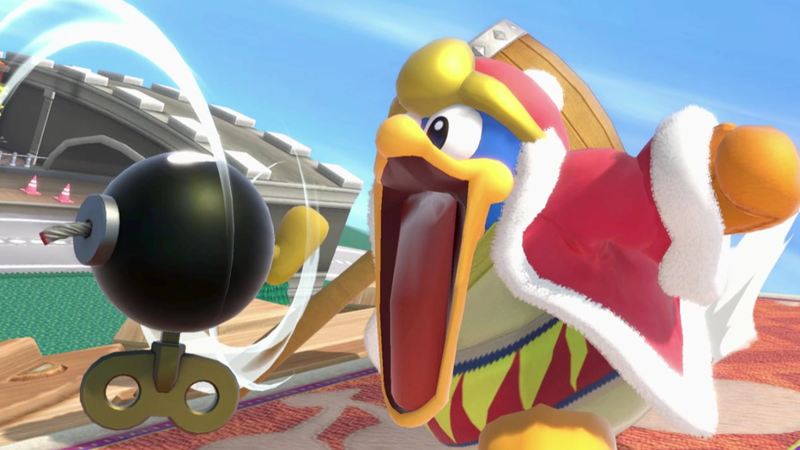 King Dedede has a new Final Smash called Dede-Rush. It spawns a caged boxing ring and a masked Dedede attacks opponents with rockets. It’s a pretty cool move, and we’ll add some footage of it once we have it. That’s everything we know about King Dedede in Super Smash Bros Ultimate. We’ll be updating this guide as we learn more about the game, so stay tuned for further details. For more on the game, head over to our Super Smash Bros Ultimate Guides Hub.